Deeply engrained in African-American cultural heritage, EBONY and JET magazines represent trusted voices in the Black community, and serve as an ideal vehicle for marketers attempting to reach a broad cross-section of the African-American community in a brand-safe environment. EBONY, which was founded in 1945, remains the #1 monthly magazine and source for an authoritative perspective on African-American culture and social issues. The editorial content of the magazine features the African-American community’s best thinkers, trendsetters, hottest celebrities and next-generation leaders. JET magazine was founded in 1951 and quickly played a vital role in covering the African-American experience during the Civil Rights Movement. JET was published weekly in a digest-size until it was recently transitioned into a digital-only format (JETMag.com) in 2014. Clear View Group, LLC is a private equity firm, focus on acquisitions of U.S. based, middle market companies. Johnson Publishing Company, the publisher of EBONY magazine (“EBONY” or the “magazine”) and JET, has been a pillar of the African-American community for more than 70 years since its founding by John H. Johnson and his wife Eunice Johnson in 1942. 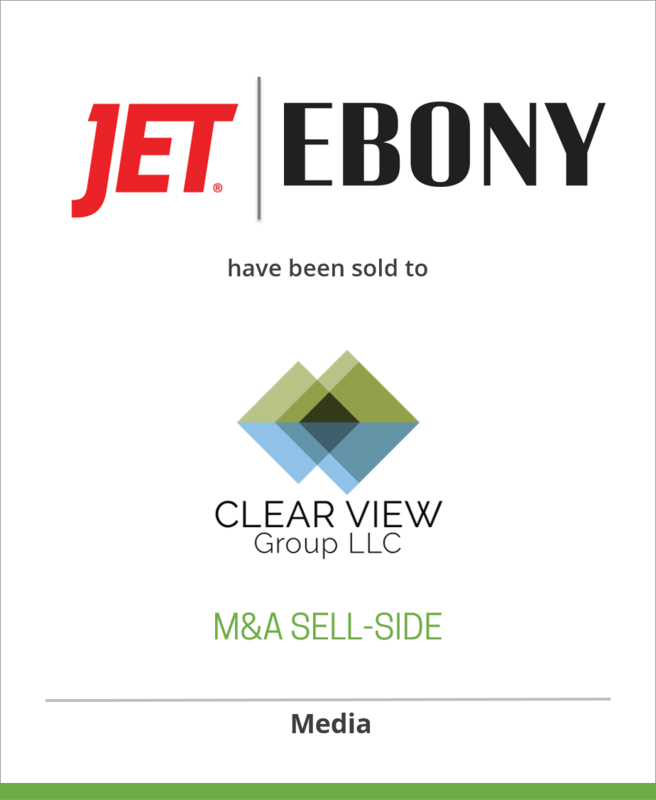 DeSilva+Phillips advised Johnson Publishing Company on the sale of EBONY and JET Magazines to Clear View Group, LLC. Sold to Clear View Group, LLC.